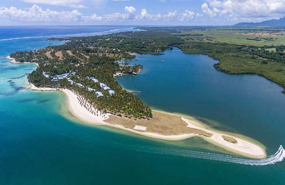 There is no better way to describe One&Only Le Saint Géran, than the iconic luxury retreat in Mauritius and we are extremely excited that it has now reopened. Overlooking one of the best beaches on the island nestles on the Belle Mare peninsula and is fringed by over a mile of stunning white-sand beach. 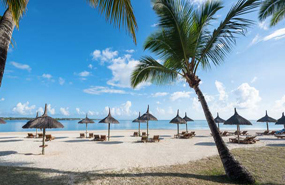 The resort continues to set the standard of ultra-luxury in Mauritius and is waiting in anticipation for its guests, both returning and new. 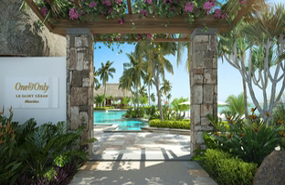 This eminent haven, and playground for the rich and famous, This is a place where nothing is understated and as they enter through the exclusive gates, guests are seduced by the tropical beauty of the sparkling lagoon and elegantly stylish interiors. The generous accommodations boast island-inspired colour palettes, outdoor terraces or balconies and private butler service. From the expansive Ocean Suites, and enhanced interconnecting options for families, to the fully staffed Villa One — which is a magnificent retreat for up to six guests — every room is designed to showcase the fabulous views of the Indian Ocean. The Hotel has completely renovated of all guest rooms and additional suites. 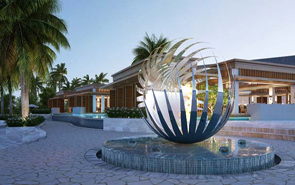 We cannot wait to visit this legendary resort and look forward to telling you all about it! Stay 7 nights in a Lagoon Room, including breakfast, and receive a complimentary upgrade to half board, plus up to a 30% rate reduction. This includes economy flights with Air Mauritius, private transfers and UK lounge passes.